Lenovo is already a well-established brand in Western Europe thanks to its personal computer brand which counts the legendary ThinkPad range and German manufacturer, Medion, amongst its ranks. It also absorbed storage vendor Iomega, IBM’s Intel-based server business and NEC personal computer range. The company has acquired phone manufacturer Motorola, inheriting yet another iconic brand whose name still carries a lot of value for a mainstream audience. But the latest move of the Chinese company, which is also the biggest PC vendor in the world, has been surprising. It launched a division called Zuk, which is a Chinese-only brand, apparently aiming to compete with the likes of OnePlus (a subsidiary of OPPO), Honor (a subsidiary of Huawei) and Xiaomi. 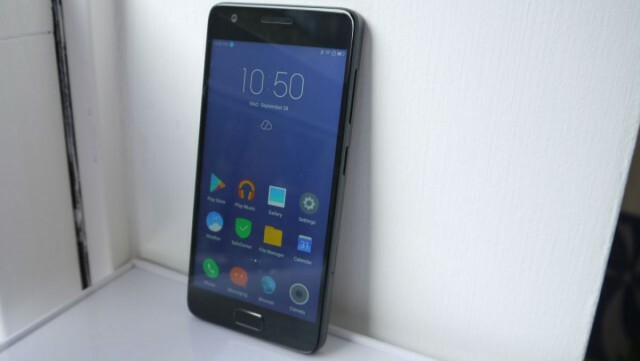 Gearbest sent us the Zuk Z2 which is its latest addition to its portfolio, one that goes head to head against the Honor 8 and the OnePlus 2. The phone costs just under £200 including delivery; we would suggest that you read this piece about the pros and cons of buying technology from online Chinese retailers (links to our sister website, TechRadar). No surprise there, ZUK uses the same sort of design that you’d find on premium models. Indeed, the phone has an air of iPhone 5 about it, with an entirely black finish. It sports lean lines and a minimalist design with dual 2.5D Arc glass front and back sides. As a business phone, the ZUK will have no problem displayed next to the latest high-end smartphones on the market. Not a hint of plastic here. The software is an entirely different story; more on that later. Glass is a premium material, but suffers from three big disadvantages. It is fragile (despite what Gorilla Glass will say -- note that the phone doesn’t use GG), it does attract fingerprints and it has a nasty tendency to slide on smooth surfaces (which often ends with a big thump when it hits the floor). To Lenovo’s credit, it seems that it used an oleophobic coating to make the rear and the front less greasy. The front fascia contains the speaker, a front facing camera as well as a physical home button that hides a few tricks. 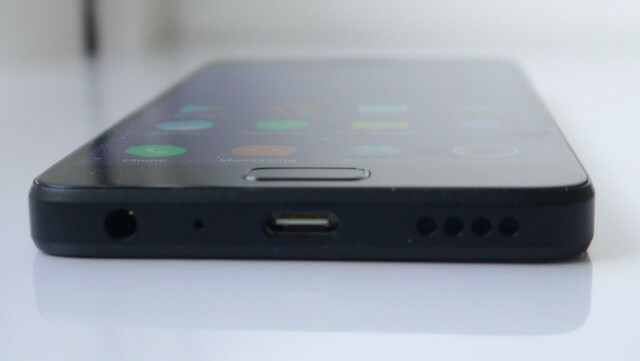 Just below that, on the shorter sides, is the headset input, the USB Type C connector and the speaker grill. On the side is the power button, the volume rocker and the SIM card holder. There’s no micro SD card slot -- the phone comes with 64GB by default -- and two nano SIM cards, both on standby, can be supported. At the back is a small ZUK logo -- no mention of Lenovo -- a single flash and the camera sensor. ZUK says that it used metal particle coating on the sides to enhance the phone’s look; what that means is that it makes it look matte. The phone’s dimensions -- 8.5 x 142 x 69mm -- are great for whoever is not a big fan of phablets; ditto for the weight which tops the scale at only 149g. Bear in mind that it has a smaller than average 5-inch display, coupled with a full HD resolution, though, it does produce sharp pictures. More on that later. As for most of the high end vendors -- and unlike many of its tier-2 Chinese competitors which have opted for Mediatek chip -- the Zuk Z2 uses a Qualcomm one, the Snapdragon 820, a beast of a processor that runs four cores at up to 2.2GHz and has an Adreno 530 GPU. As expected, it supports 802.11ac, LTE (all UK 4G bands except Band 20/800MHz), LPDDR4 and Bluetooth 4.1. There’s also an array of sensors including a gyroscope, a compass, a hall sensor, a proximity sensor and a light one. As mentioned before the ZUK Z2 comes with 64GB onboard storage; note that the phone uses the slower eMMC 5.1 technology rather than the faster -- but more expensive -- UFS 2.0 one. The rear camera sports a 13-megapixel sensor from Samsung while the front one is an 8-megapixel model. Both have fairly wide apertures (f/2.2 and f/2.0 respectively). And the rear camera can shoot at 4K. The smartphone also came with a USB Type C cable and a tiny adaptor with a Chinese plug, but one which delivers far more juice than your average charger. It’s rated 2.5A at 5.3V which equals 13.25W or almost a third more than a standard mobile power adaptor. Sadly, there’s no NFC capabilities which is simply unacceptable on a phone in this category. 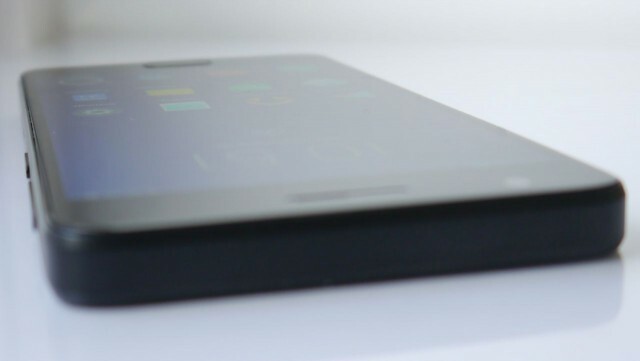 This short-range, low power connectivity mechanism has become more popular and omitting it automatically excludes it from some use case scenarios like Android Pay. As expected, the components in the ZUK Z2 deliver a stellar performance; it blazed through the popular Antutu mobile benchmark, delivering a superb score of 140,058 which is within spitting distance of the leader, the OnePlus 3. The display uses the LTPS technology, probably from Sharp (now Foxconn); that’s a similar display used by the Apple iPhone 7. The pictures look crisp even in broad day light with an average contrast and excellent brightness. Colors are not too saturated and looked natural with excellent viewing angles; out-of-the-box options to tinker with the display settings are limited though. As expected -- thanks to a pixel density of 441PPI -- the icons and texts remained sharp. The sound quality is one of the few weak spots; the mono speaker failed to deliver the oomph and reach the highs of devices like the Sony Xperia Z3 which deliver sound through two front facing speakers. Audio quality remains a recurrent issue with Chinese smartphones. One bright spot though has to be the fingerprint reader which can be configured and is not only fast (100ms response time) but also unobtrusive. The hardware only tells half of the story: bear in mind that this is a smartphone for the Chinese market so the installed firmware indicates that. We encountered Chinese characters when trying to update to the latest version of the OS (2.1.059 ST). Sadly, that didn’t go as planned and is symptomatic of the sort of experience you encounter with devices that are not location-optimized. We had to install a VPN to download the most recent firmware update as ZUK’s servers wouldn’t allow anyone from outside China to do it. And even then, we couldn’t install it because the phone was apparently encrypted (we couldn’t find any option in the settings to disable it). Furthermore, although the ZUK Z2 came with Google Play, most of the other Google services (Youtube, Gmail etc) were not installed by default. At the time of writing, there’s no English version of the ZUK website which means no official support (you can always rely on unofficial third party user forums, but at your own risk). As for the battery life, it was excellent. The 3,500mAh battery managed to keep the phone running for almost two days, albeit without any intensive tasks (no Youtube or gaming involved). Obviously, Lenovo has no excuse to fall back on. 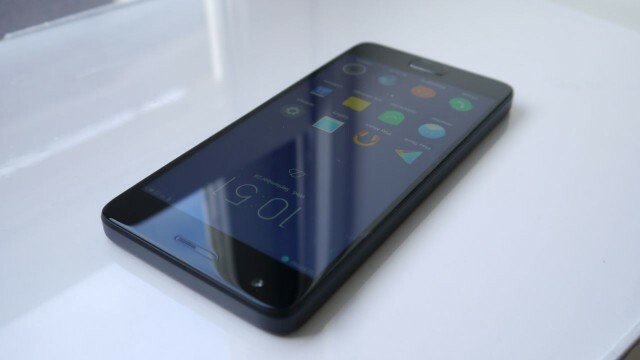 The OTA experience should be much better than that even if it is a smartphone destined for the Chinese market. There’s also the lack of NFC which puzzled us as much as it disappointed us. And, while entirely subjective, the use of glass at the back instead of metal or plastic means that the phone is more likely to be scratched especially as it slides more easily on any surface with a gentle slope. Ours got a few scratches within 24 hours. Sure, a protective sleeve or case would help, but then doesn’t that negate the purpose of having a glass back in the first place? That combined with the fact that it doesn’t support band 20 (800MHz) makes it a no-no for O2 customers whose LTE service uses this frequency exclusively. MVNO customers from Giff Gaff, Tesco Mobile and Talk Talk are also in the same boat. 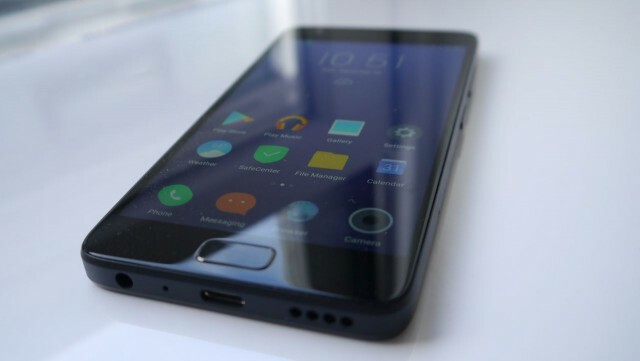 In the end, the ZUK Z2 is a prime example of a phone that could certainly become a hit, but will probably have to be sidelined until the major issues highlighted before are solved.